A Calgary woman received a letter from her sister 45 years after it was posted. 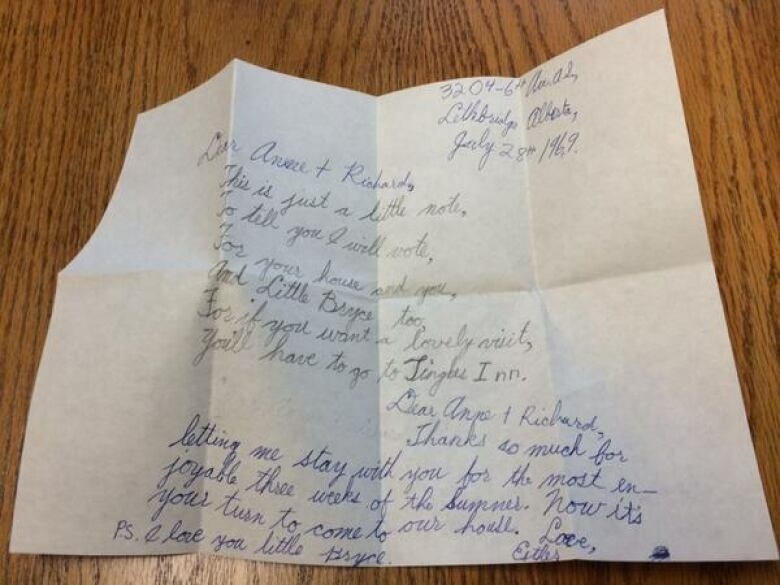 A Calgary woman received a letter in the mail 45 years after it was posted. 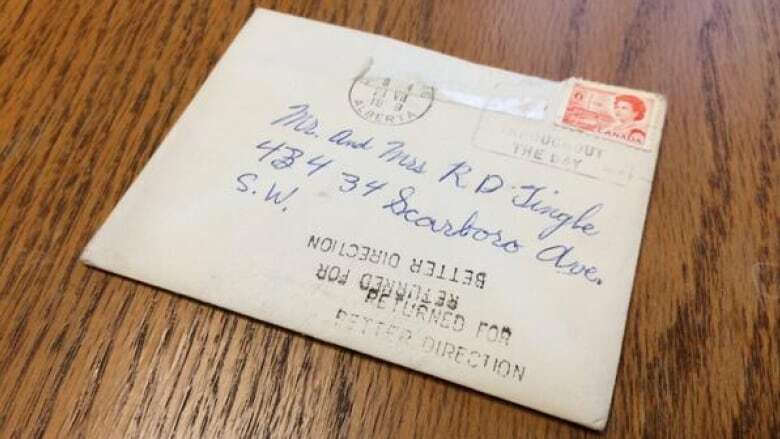 The letter, mailed in 1969 from Lethbridge, was recently delivered to Anne Tingle’s new home in Calgary, wrapped in a plastic and cardboard with an apology from Canada Post for the damaged condition. Hear Calgary Eyeopener host David Gray's interview with Anne Tingle. Click on the "Listen" button. “So I pried the cardboard apart and inside was a little envelope and the first thing I noticed, besides that it was a little bit torn, was that it had a six cent stamp on it. And then I looked it over and it was a 1969 post mark,” she said. The letter was addressed to "Mr. and Mrs. R.D. Tingle" and had the correct street name for the family's former home, but the house number was wrong, and it had no city listed. Tingle says she has no idea how the letter got lost and how it finally reached her at her current address, although she did forward her mail when she moved.